ead Lice can be transferred from person to person through personal contact or by sharing certain items such as combs, brushes, caps, clothing, etc. At school, children often play in close contact with each other and share many of these items. Since Head Lice don’t fly or have strong jumping legs like fleas, close contact is the primary avenue of spreading from host to host. It’s best that children are taught not to share personal belongings such as hats, brushes and combs with other classmates. August through November is normally the time when lice are transmitted. By December and January, Head Lice infestations are vast. Children should be inspected weekly for Head Lice during the early fall months of August through November. 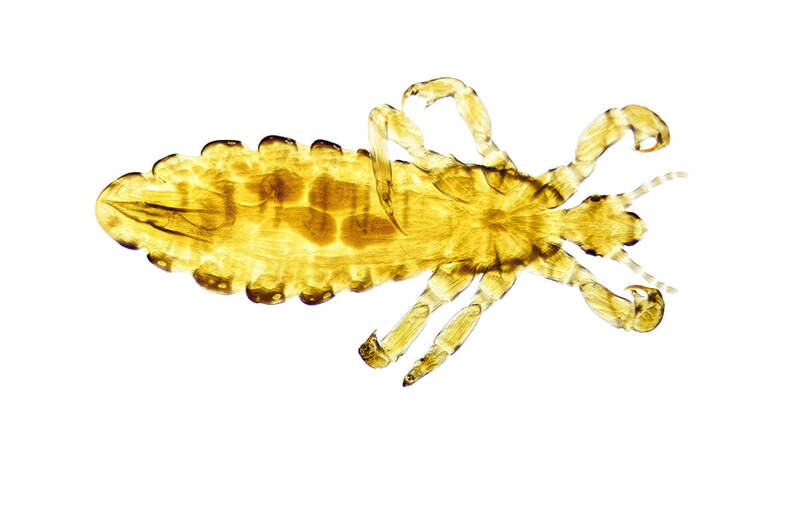 On occasion, lice may fall off their host onto another surface; however, they cannot survive off a human for more than 24 hours. Therefore, they do not live for very long in furniture, carpet, beds, vehicles, etc. They want to remain on their host in order to survive. 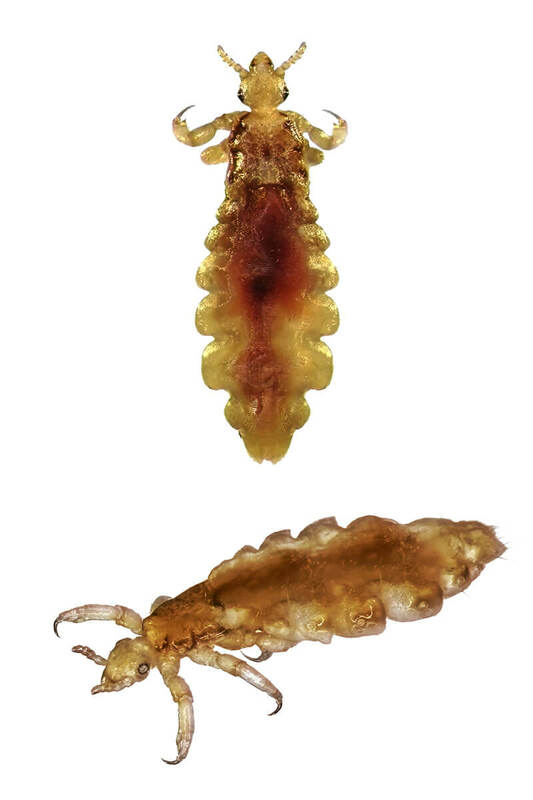 Head Lice eggs are called nits. They are very tiny, white, oval and cylindrical in shape. Nits are glued by the female to the hairs near the scalp normally behind the ears and along the back of the neck. Nits must be removed by using a special fine-toothed louse comb. This is done by combing from the root to the tip of the hair and repeating until the entire scalp has been combed several times. A regular plastic comb will not remove nits. Remember, children that are taught not to share personal belongings such as hats, brushes and combs with other classmates and have weekly inspections performed are less likely to experience Head Lice during the school year.